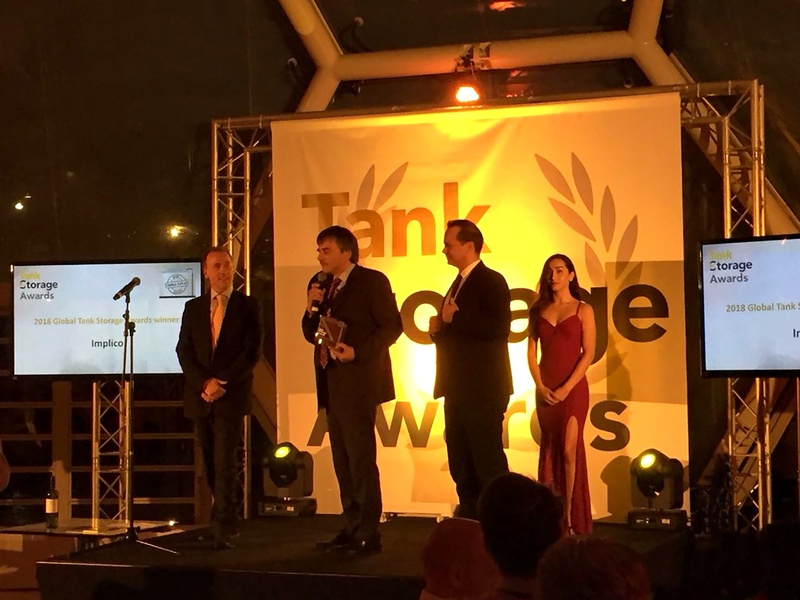 Software and consulting company Implico has won the Tank Storage Award in the “Best Terminal Supplier" category. This year was the second time that Tank Storage Magazine honored companies and individuals for their outstanding services and solutions. The award ceremony took place on 20 March 2018, during the StocExpo Europe trade fair in Rotterdam. Dimitris Pagonis, Head of Sales Global Markets OpenTAS, and Lucas Ribeiro, International Sales Manager OpenTAS, accepted the award for Implico. The glittering event at the Floating Pavilion in Rotterdam was closely followed by the tank storage industry. Yesterday evening, Tank Storage Magazine presented the second Tank Storage Awards to twelve important companies and individuals. Awards were given for categories such as the most efficient storage terminal, the best port and employee of the year. The winners were chosen by a 12-member jury of independent experts from the global tank storage industry. The Implico Group was shortlisted in three technology categories. The company was nominated as the “Best Terminal Supplier,” its handheld solution was nominated as the “Most Innovative Technology” and the OpenTAS terminal management system was nominated in the “Excellence in Terminal Optimisation” category. Implico ultimately received the award in the “Best Terminal Supplier” category.